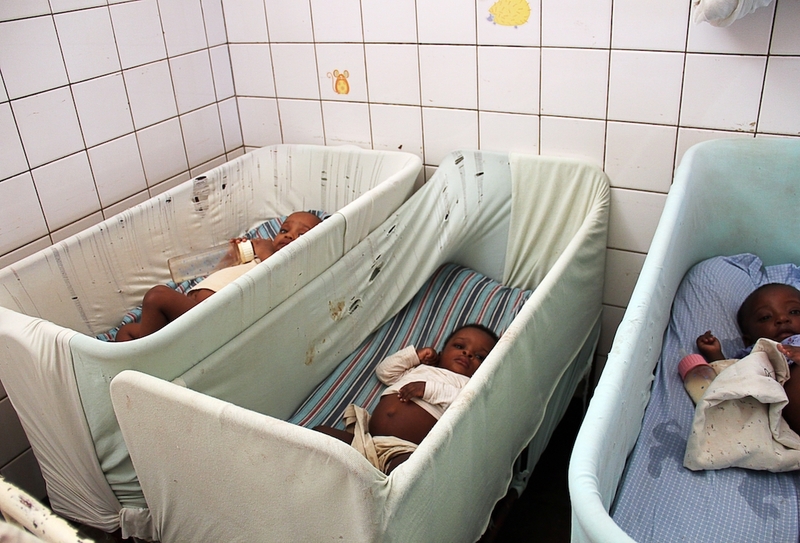 The Noel was originally established to care for babies whose mothers died in childbirth. 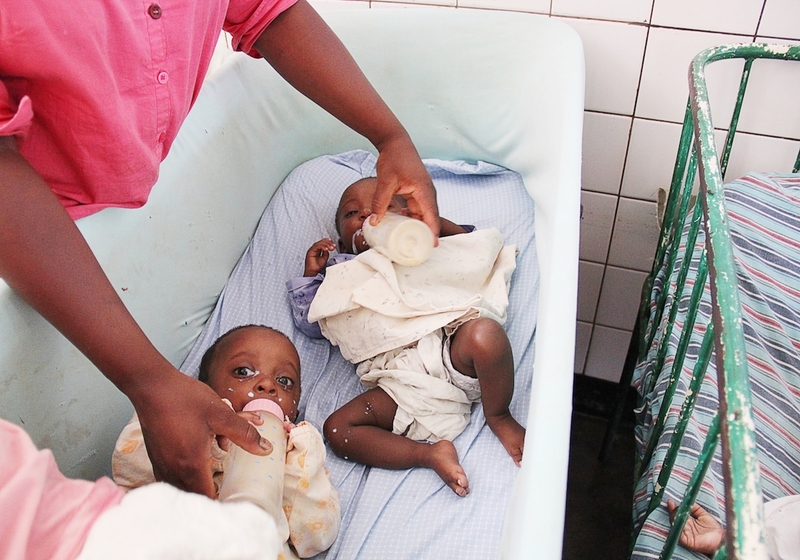 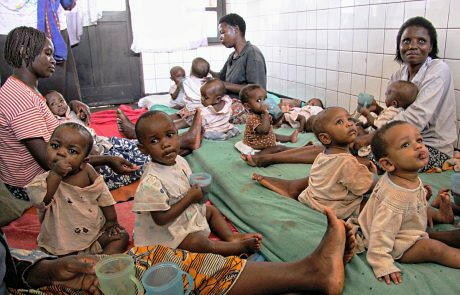 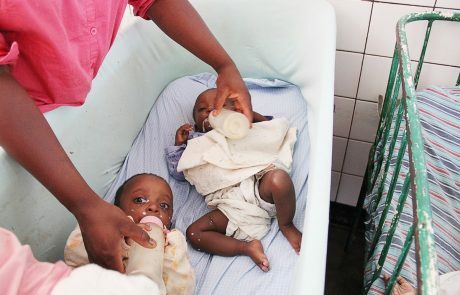 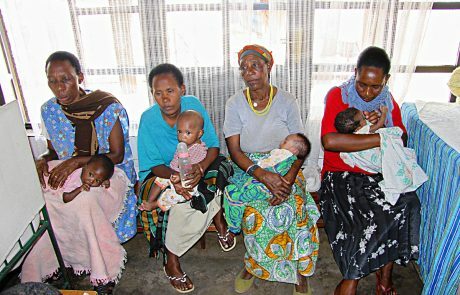 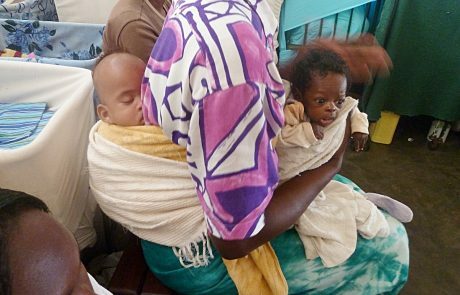 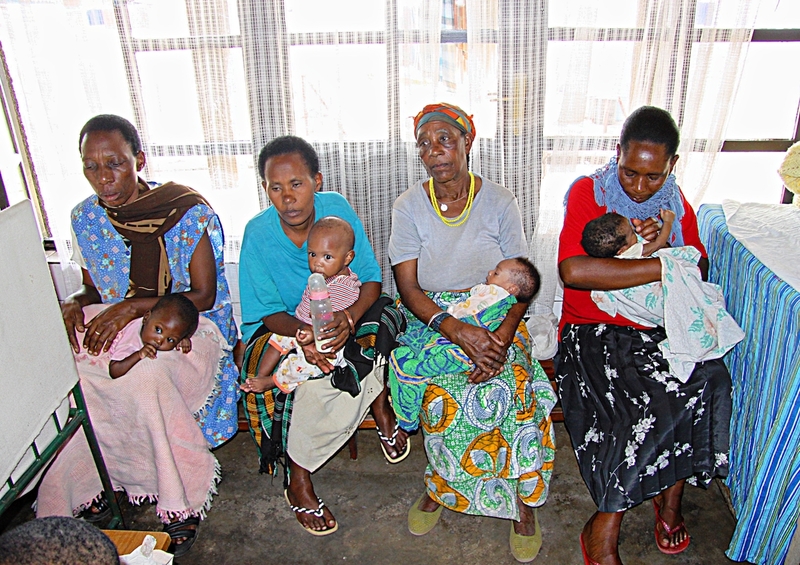 The Mamas would care for them until they were 3 and independent enough to be returned to family. 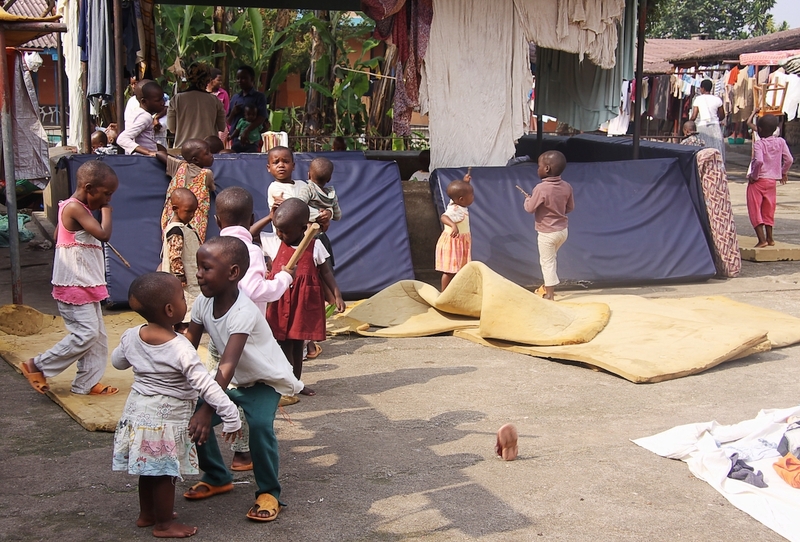 Then the ravages of civil unrest, wars and genocide changed the purpose of the Noel. 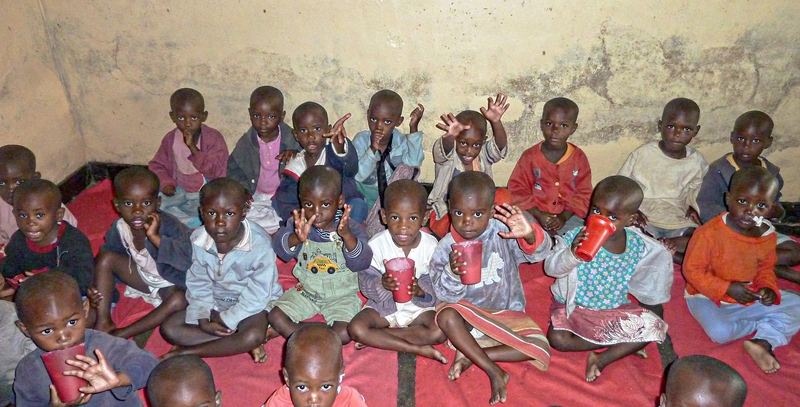 Hundreds of orphaned, abandoned or lost children of all ages needed refuge. 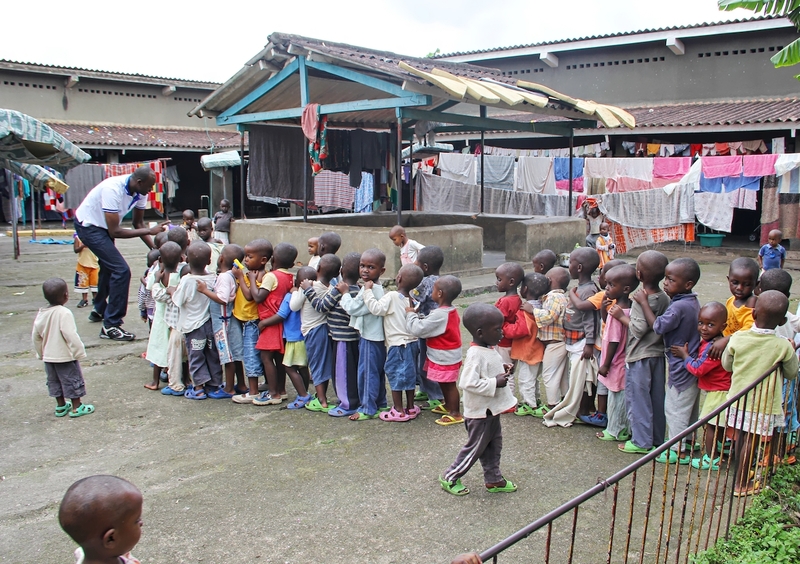 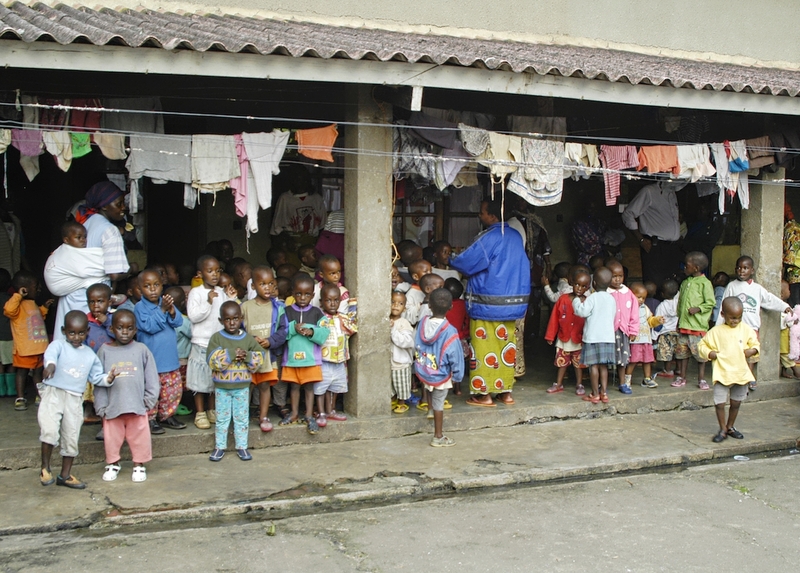 Some children were able to return to family, but so many couldn’t and would grow to adulthood at the orphanage. 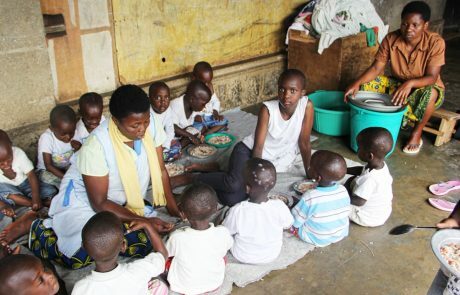 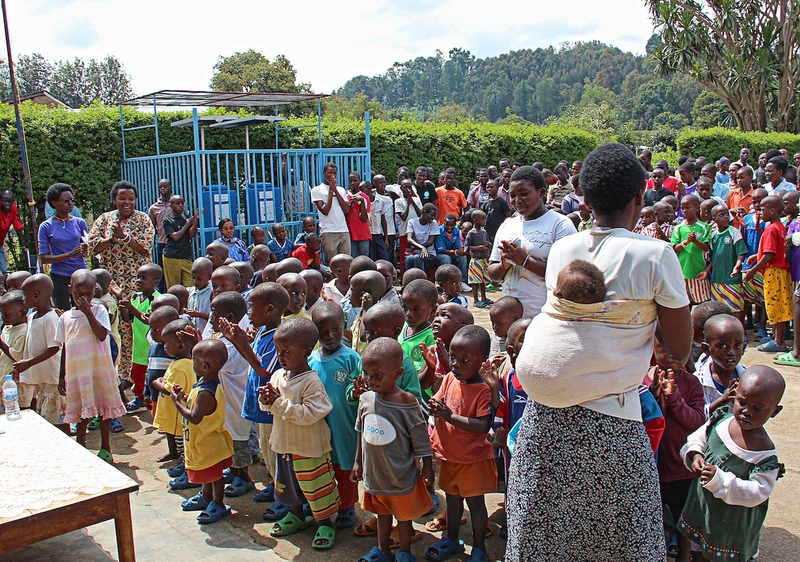 After peace returned to Rwanda, the Noel was still taking in orphans, socially vulnerable children and those with disabilities, often finding them left at the gates overnight. 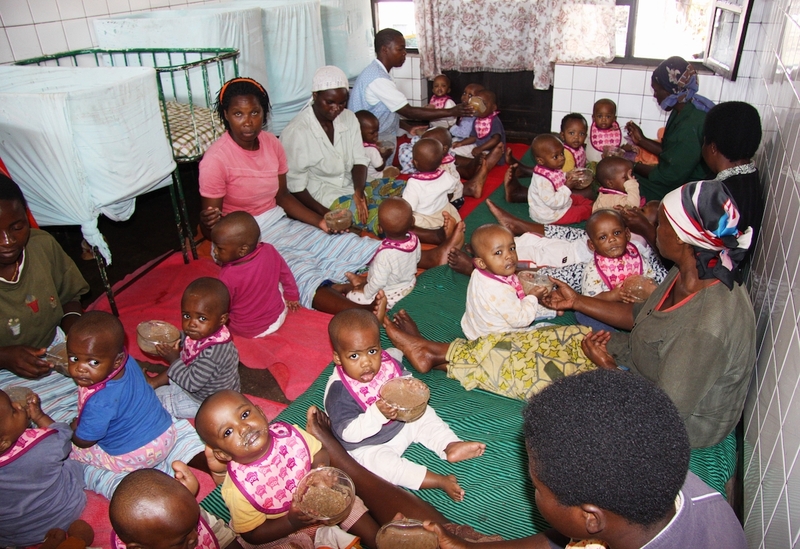 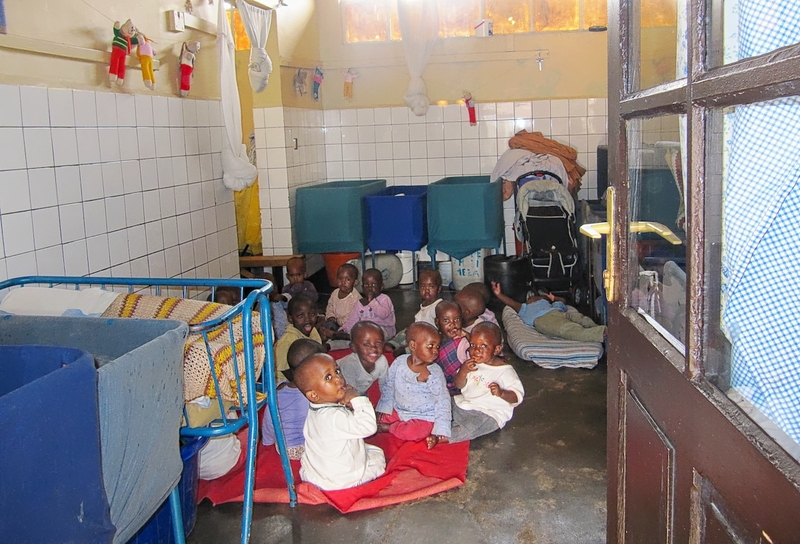 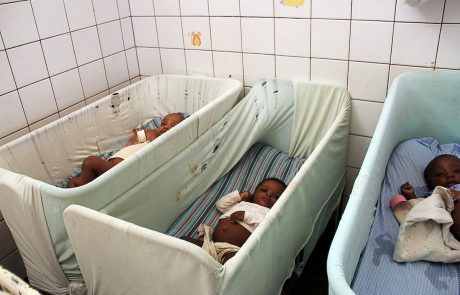 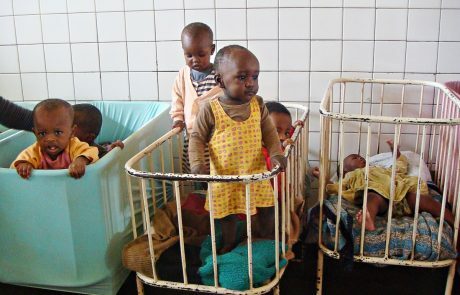 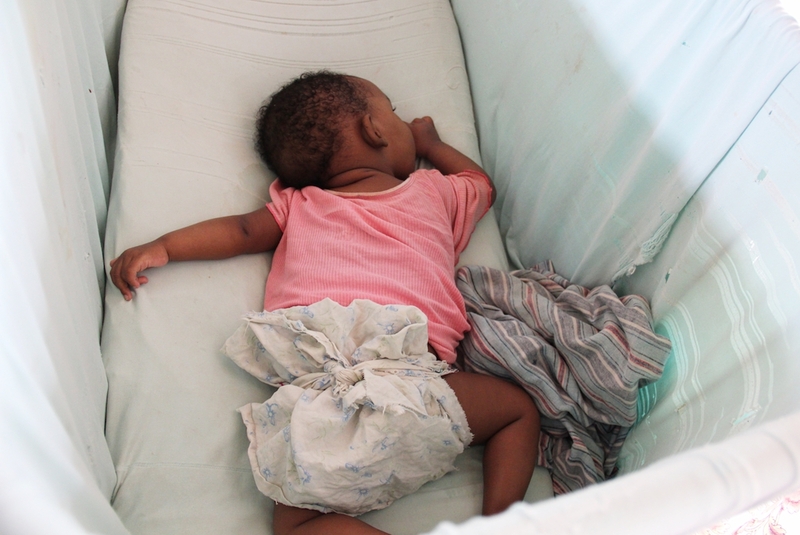 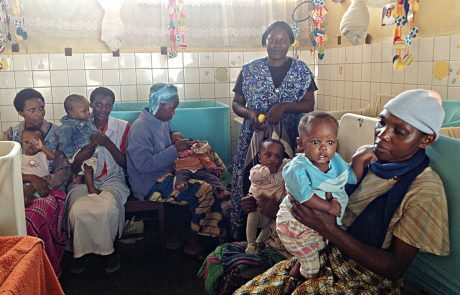 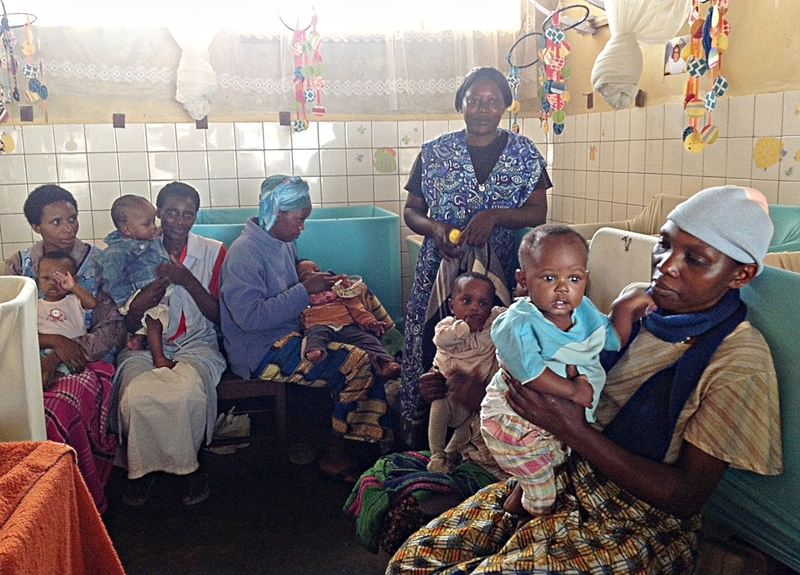 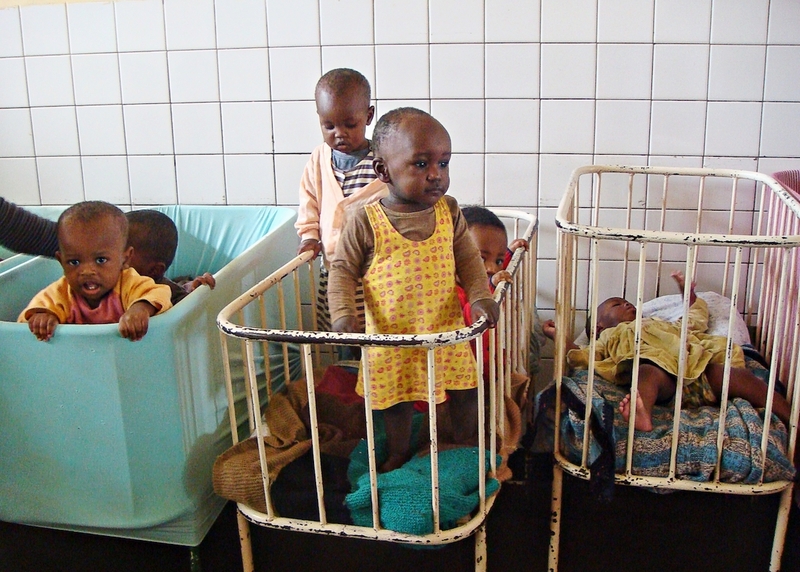 Babies were cared for within the Quadrant, in nursery rooms crammed with cots. 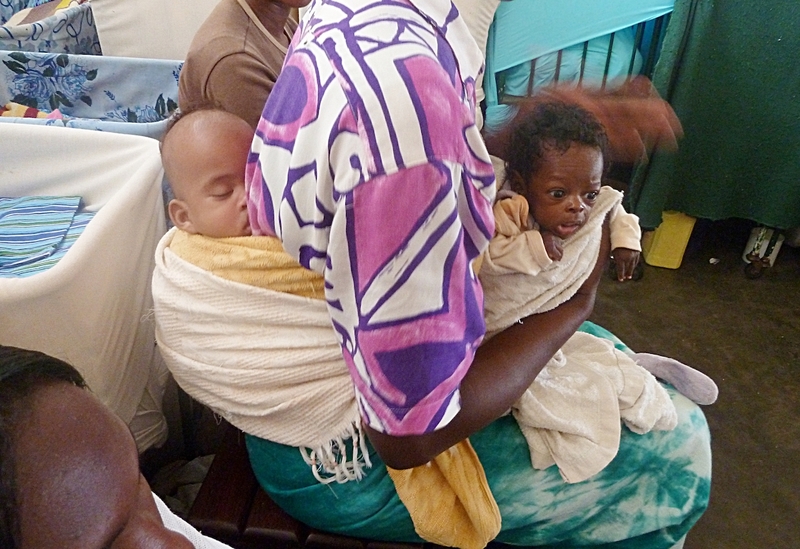 Mamas nursed them day and night with rigid routines. 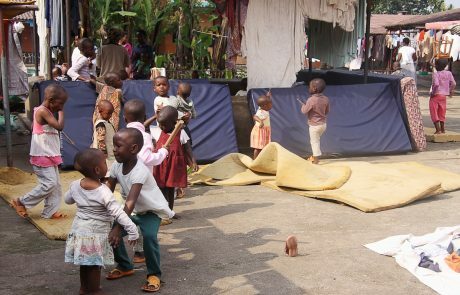 Toddlers & older infants were able to play within in the Quadrant enclosure and had supervised playtime outside in the entrance courtyard or playing fields. 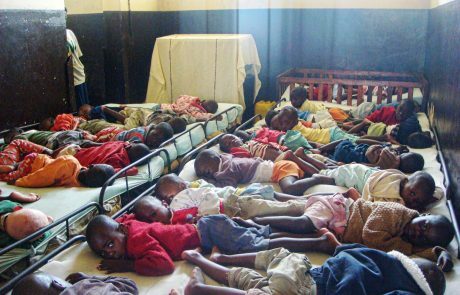 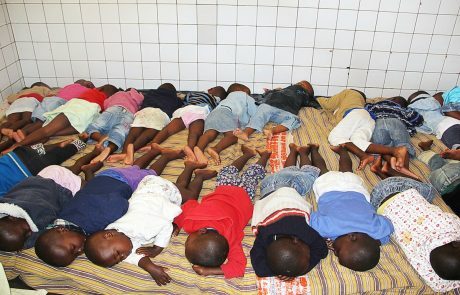 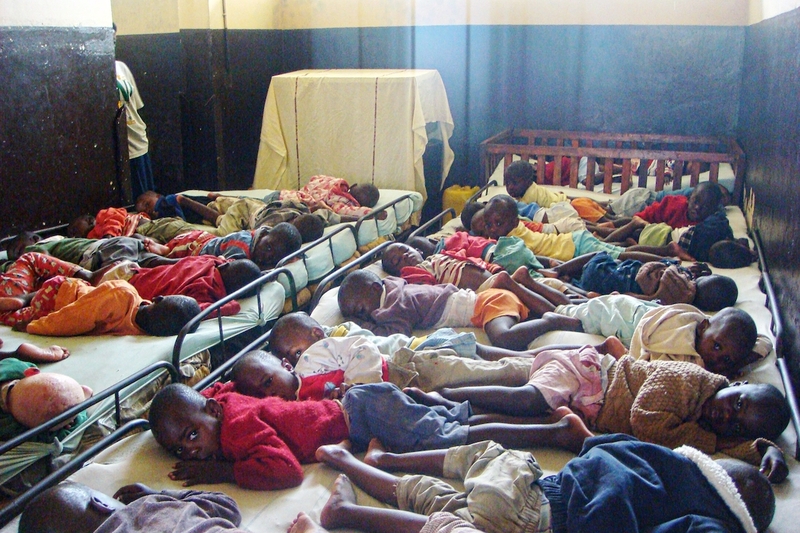 At this age they slept side by side on floor mattresses, sometimes 40 to a room. 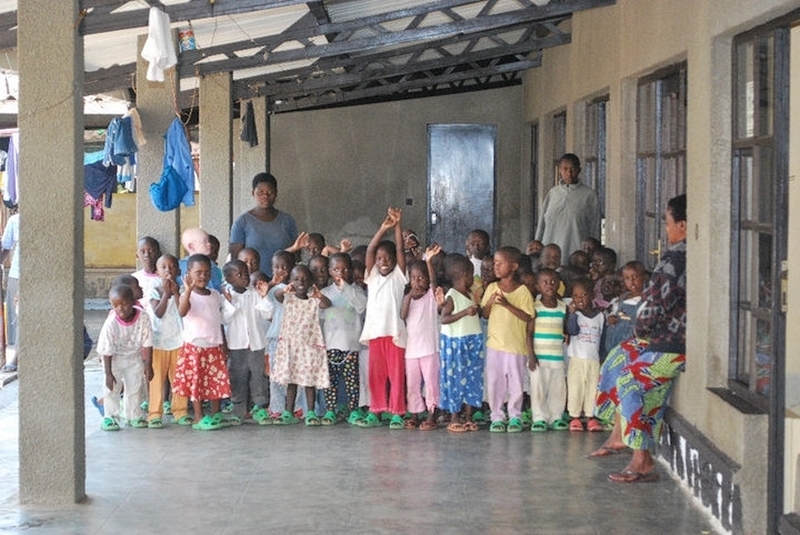 In the orphanage’s latter years early education was introduced as a new concept. 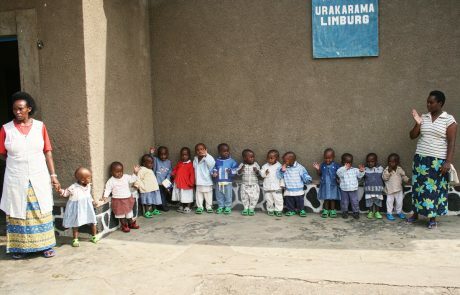 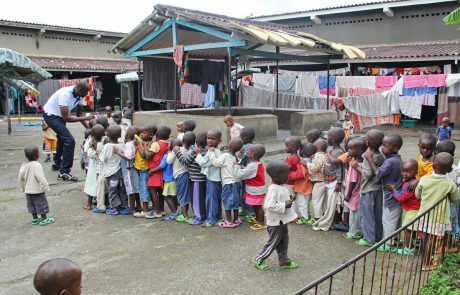 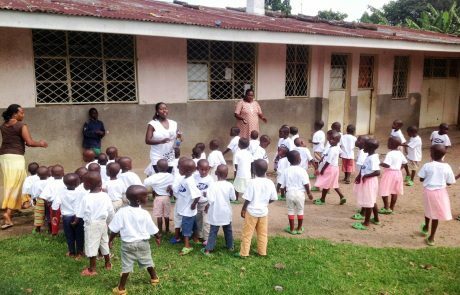 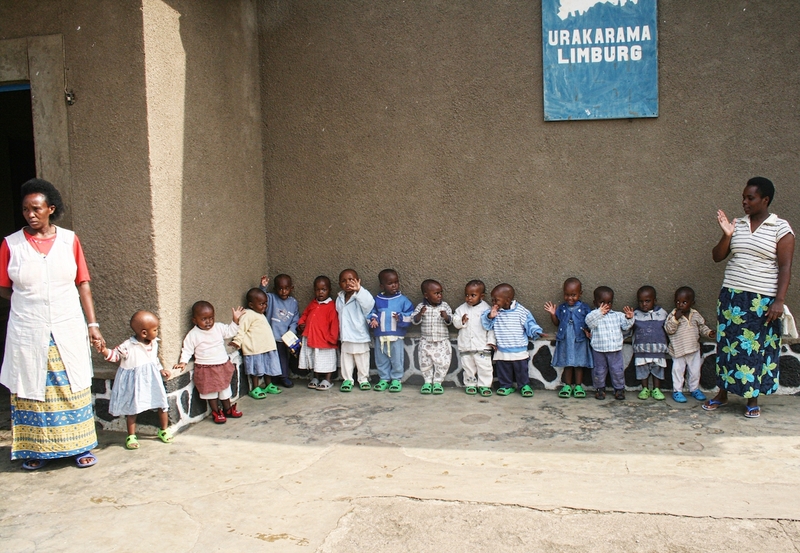 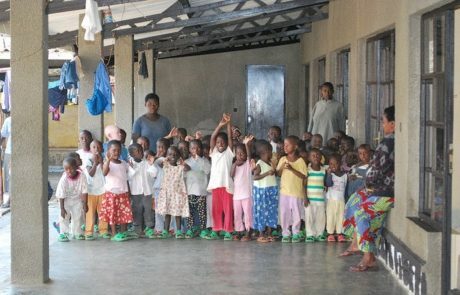 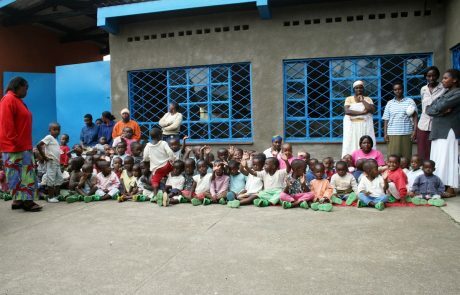 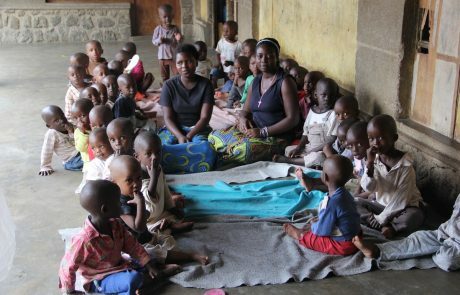 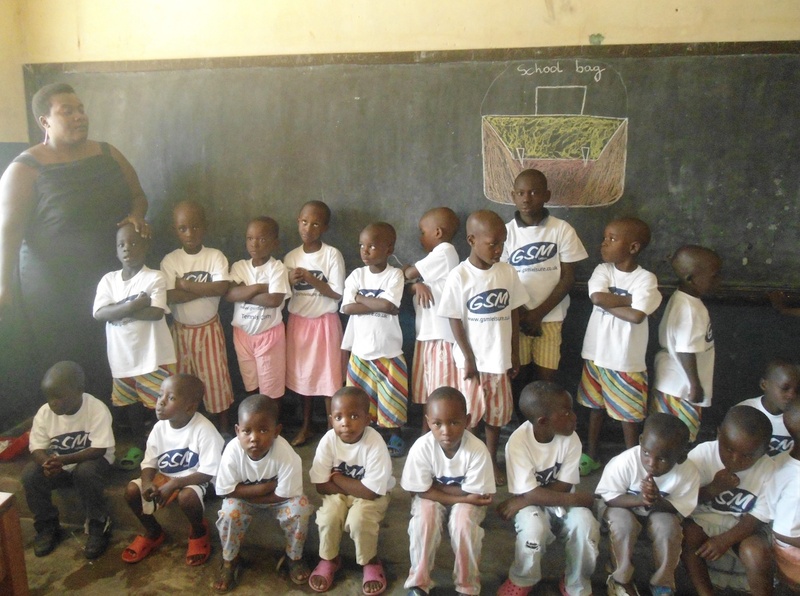 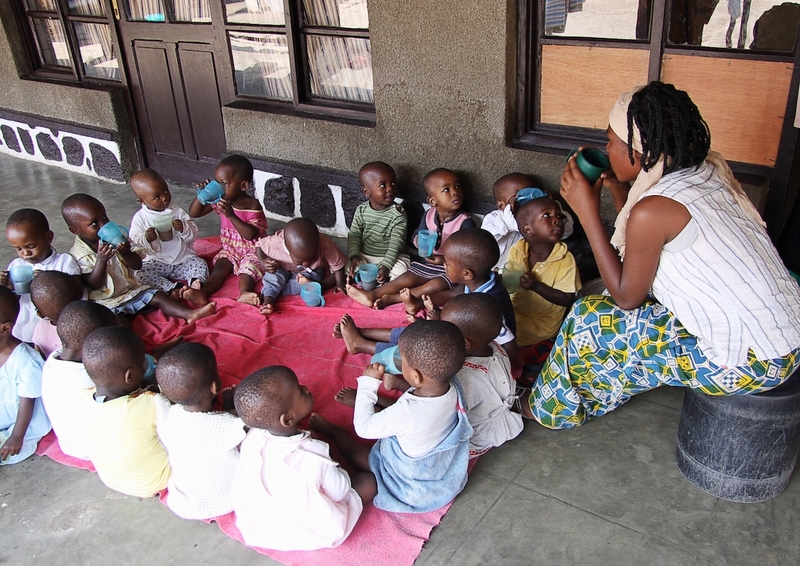 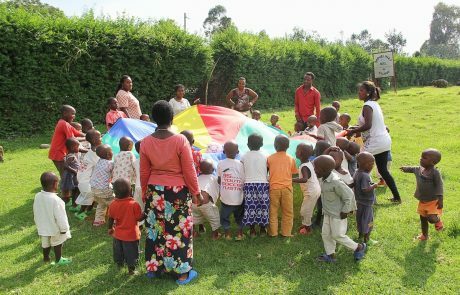 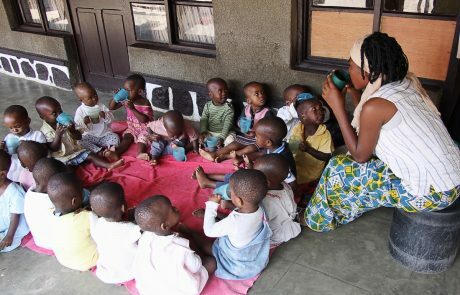 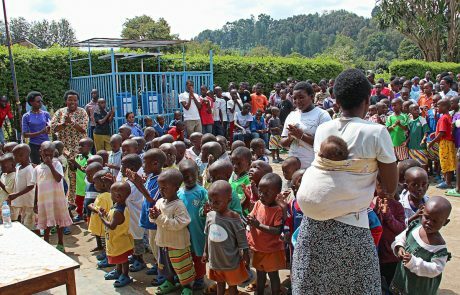 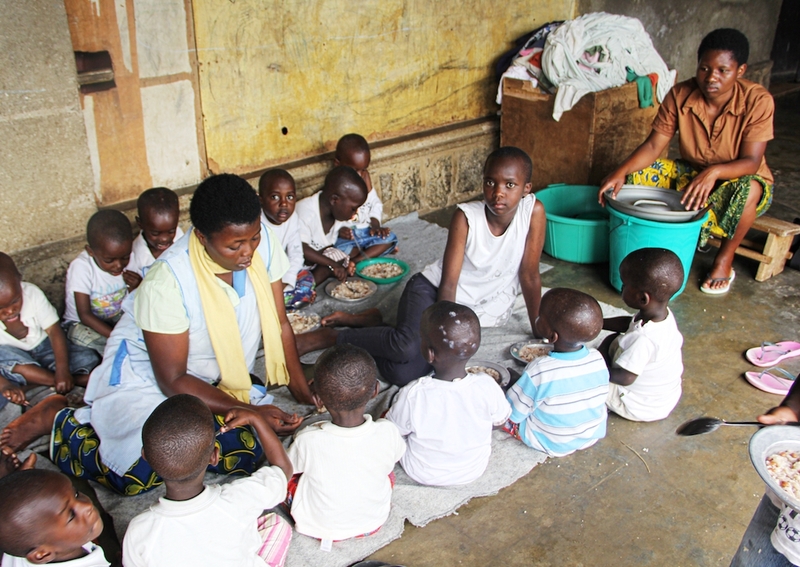 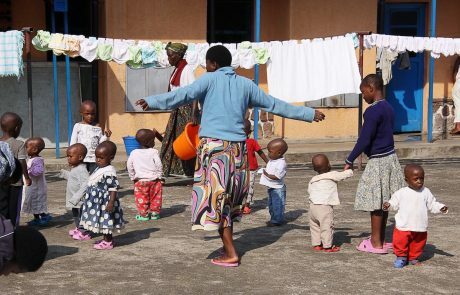 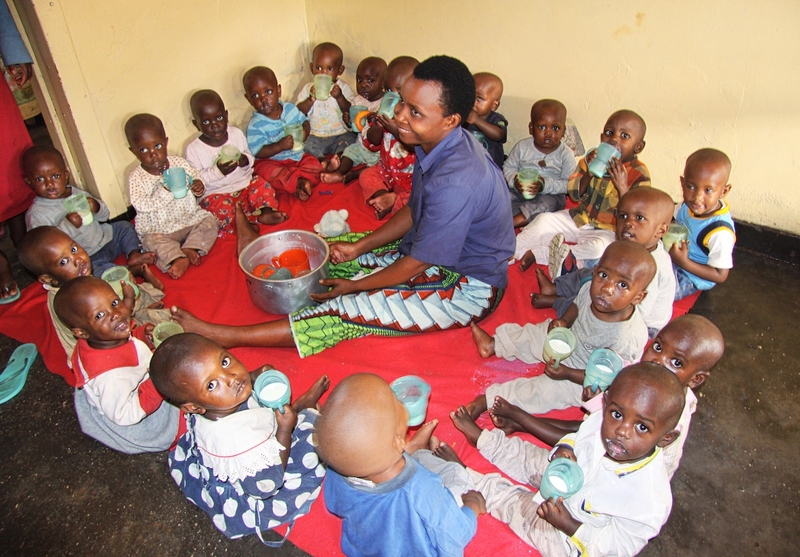 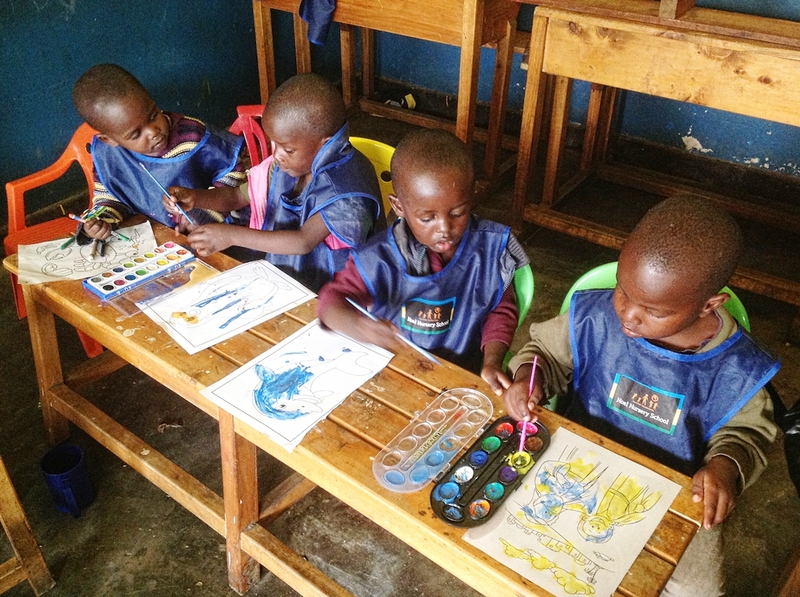 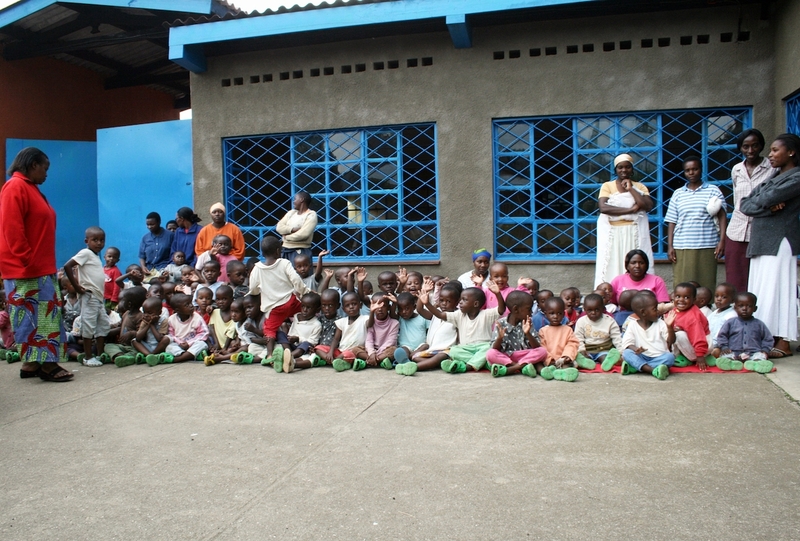 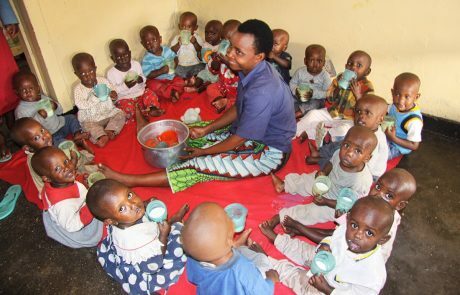 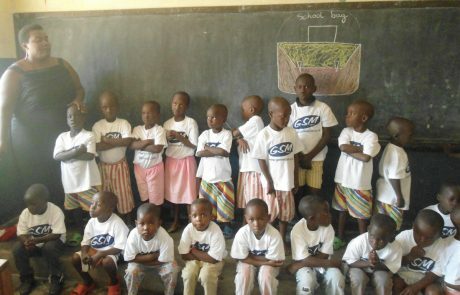 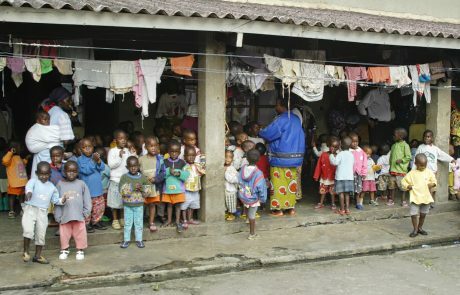 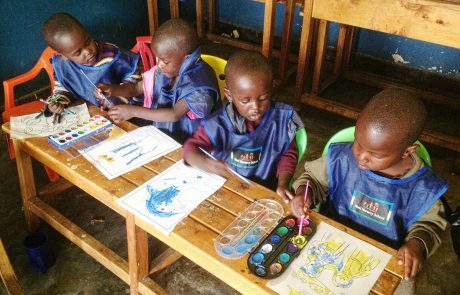 Rwanda primary school starts at age 6 and when this milestone was reached children were separated by gender and moved out of the Quadrant into junior dormitories.